Who is an ideal candidate for a browlift? Traditional Brow lift: Conventional methods, in which the incision is hidden beneath the hairline. Endoscopically: A tiny camera and instruments are inserted through a few small incisions to resculpt the muscles above the eyebrows. With both methods, you may experience some numbness and discomfort at the incision. Your bandages will be removed in one to two days and the stitches (or clips) will be removed within two weeks. You will be on your feet again within a day or two, and many patients are able to return to work in just over a week. Any swelling and bruising should disappear by the end of the third week. Dr. Jejurikar will be happy to talk with you personally to address any of your questions or concerns. 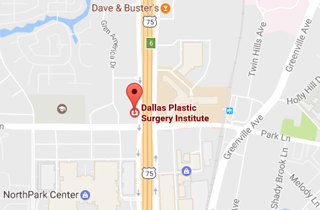 Call (214) 827-2814 to schedule a one-on-one consultation with Dr. J. to discuss a Brow Lift at our Dallas location.